Program Our program begins with the review of different types of businesses and data frameworks needed to manage information. We analyze how people and activities align to develop core product and service offerings. The more you learn about people and what they do, the easier it is to understand needs. Is your work rewarding and meaningful? What you do each day matters. Work is meaningful when efforts produce value that matters. Some activities are more important than others. We model knowledge worker activities to help people work more effectively. Our Program creates opportunity to learn more about what you do each day to support value creation. The more you know, the easier it is to develop the insight and tools you need to run a business. First, we focus on building a baseline framework to measure business effectiveness. This entails converting historical information into a framework to measure value creation. The baseline framework models how data, assets and resources align to maximize business performance. There is an optimum framework for every business. Your goal is to develop a modern framework to power your business. This is necessary if you want to use Artificial Intelligence (AI) and Machine Learning to enrich your data and information. You will use this framework to benchmark, manage and evolve operational performance. Data assets must be managed to run a business. Your best business defense against risk is to improve how you manage your information. This is why you need to modernize your data architecture. Businesses function based on how they develop and deliver products and services to serve markets. Structure, process, capabilities and decision-making of every business are different. There are no “one-size-fits-all” solutions. Your data framework sets up the measures you will use to assess business potential. Your mission is to optimize operational performance. This is possible when you can improve knowledge worker productivity and lower costs as you optimize use of capital and resources. Opportunity to realize your business potential depends on how you use insight to develop and implement step-change strategies, solution roadmaps and action plans to modernize operations. Activity-based insight will help you to align capabilities, practices and resources to optimize value creation. Your objective is to optimize use of resources and efforts to increase returns for your business. Insight about how day-to-day work activities impact value creation is vital. Gaining new perspective about your effectiveness will help you focus on making the best investments. Business transformation is an ongoing process. Decision-making slows down and is often paralyzed when overwhelming amounts of information are mismanaged. Activity to value insight will help you improve business agility and grow returns on investments. Avoiding pitfalls that hinder work and degrade value creation is critical. This is why you need activity-based insight. Opportunity to know what you need to do depends on how use measure performance and costs to align resources and efforts. Most businesses are reactive. Adverse situations, e.g., getting hacked and losing data, secrets and IP can be devastating. Reactionary management is expensive. A weak response to a bad situation can put you out of business. Your objective is to avoid adverse situations by taking the right steps to reduce risk. This is possible when you build an anticipatory business culture. When you anticipate change you create opportunity to get in front of change that can blindside your business. You want to preempt situations that are adverse to your business. Predictive data can give you the edge you need to create a sizeable advantage. To understand your problems, take a deeper look at your current situation. Look at what you are doing today versus what you can do to improve your position. Predictive data can help you model hypothetical situations to evaluate risks and opportunities. Taking steps today to mitigate risk is possible when you know what to do to improve positioning. Step Change is the process and actions you take to leap into the future. Step change involves getting people engaged to realize a better future. Pulse Surveys are tools you can use to drive engagement. People do not like to change. You need to use definitive logic and reasoning to facilitate change. What’s-in-it-for-me concerns must be satisfied. Your objective is to take a giant leap forward to get to where you need to be. 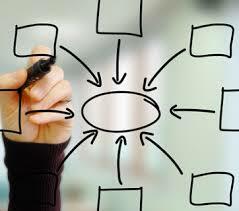 Ability to implement strategy effectively is complex. How will you get your people engaged? What do people need to know to change perspective about their work? This program will help you answer these questions. Being busy does not mean you create value. It is important to think about what you do each day. Today, workers seldom take time to think about how they create value. You can use predictive insight to assess value creation. What you discover can change your perspective. Strategy execution involves getting people to engage. Work must be meaningful. People want to be respected for what they do. Use predictive insight to change your thinking. One of the greatest challenges businesses face is data. Advancing technologies, globalization and growth of the Internet represent a few drivers that have changed how people work. Businesses that do not recognize and adapt to this change are at risk. Cause and effect are realities of situations and actions. Business structures must adapt to support the way people “need” to work. Removing structures and silos of business to make work flow more efficiently is vital. As information grows, knowledge worker productivity declines. People are working more hours, but getting less done. This is because current data structures have become extremely inefficient. Information growth has created a great amount of instability for business. When we analyze data structures, we discover that data and information is everywhere. Levels of redundancy, bottlenecks and inefficiencies create risk. Connecting “data dots” between disparate systems and applications has created an unsustainable structure of data that is difficult and expensive to maintain. Cobbling systems together heightens risk of getting hacked. There is only one solution, businesses need to simplify how they manage and use strategic data and information. This program will give you the answers you need to optimize your business. Sign up for our Program to change the way you live and work!